At a House Public Education Committee hearing Thursday, superintendents rattled off long lists of unexpected costs they incurred after Hurricane Harvey swept through the Texas coast. After Hurricane Harvey's rainclouds and winds swept through Texas' Coastal Bend, Gregory-Portland ISD administrators paid a preliminary $200,000 to cover the cleanup of their campuses and immediate damages to their equipment. Still, the coastal district ended up taking in more than 1,000 students now considered homeless who have been displaced from neighboring districts and has spent money to provide technology, furniture and teachers in order to educate them through the end of the school year. "We had sufficient technology for our 4,500 students the day before the storm came. We didn't have enough technology for all of those additional students," said Paul Clore, Gregory-Portland ISD's superintendent. "What do you do if you're the receiving district and you're reaching your peak in terms of your capacity to manage enrollment?" School district and charter superintendents traveled hours to the Texas Capitol on Thursday to testify at the first of several House Public Education Committee interim hearings on how to help public schools recover from the unprecedented natural disaster. Administrators rattled off long lists of unexpected, miscellaneous costs they incurred after the storm claimed their facilities, flooded students' homes and forced them to replace thousands of dollars' worth of school supplies. They won't know the final dollar amounts for another six months to a year, or longer. Many said they are juggling immediate costs that allow them to keep schools open while they assess their long-term financial needs, potential losses, and expected state and federal aid, given the extensive property damage in the region. Students displaced from the storm are considered homeless by the federal government, entitling them to enroll in any district they move into or get free transportation to their home district. Some districts taking those students in were also hit by the hurricane and now must find the money and staffing to educate them. Comptroller Glenn Hegar has said that state aid to school districts would make up the largest chunk of Harvey's cost to Texas. "We need to know what your needs are," said committee Chairman Dan Huberty. He said the committee would hold future meetings to discuss testing and student needs. 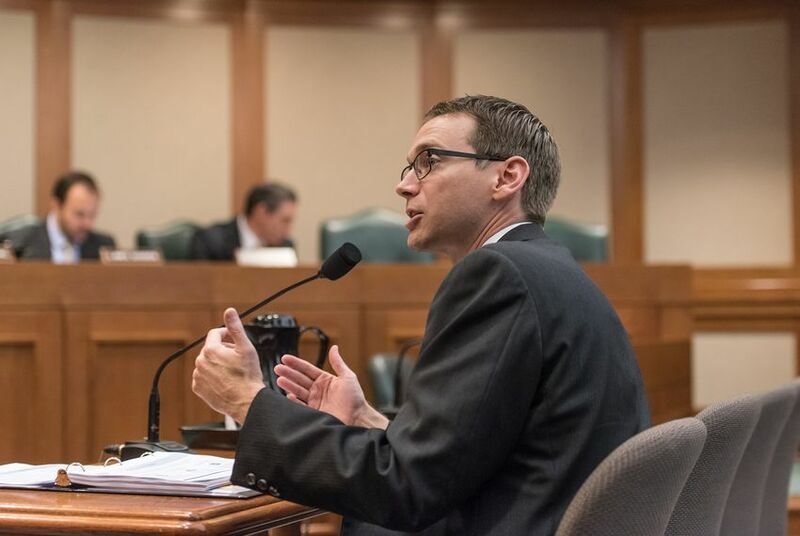 Education Commissioner Mike Morath announced earlier this week a plan to compensate school districts that lost attendance, and requisite funding, due to the storm, which could cost the state an estimated $400 million. The education agency will also advance funds for districts like Gregory-Portland ISD that have taken in displaced students. The state will owe $266 million in additional funds for students who are displaced. The total cost to the state could be more than a billion dollars, Morath said. After school districts use any existing insurance to cover building damages, the federal government will cover 90 percent of the remaining cost. Administrators asked the state to help them pay for the final 10 percent. With school districts and local taxpayers still assessing their property damage, the cost of lower values to school and state coffers is unknown. State aid for school districts is calculated based on the previous year's property values and tax collections. Some districts, such as Katy ISD, have ordered reappraisals of their property values, which would reduce local property taxes for taxpayers within the district. Those school districts are guaranteed either more state aid or lower payments owed to the state in 2018-19, Morath said. But some administrators said they were not sure how ordering reappraisals would impact their immediate property tax collections or future state aid. Others said ordering the appraisal could take months and cost prohibitively large amounts of money. Houston ISD's board and administrators are still deciding whether it would financially help or harm the district to order a reappraisal in the next month, said Rene Barajas, the district's chief financial officer. The property-wealthy school district owes between $230 million and $268 million next year to the state to help shore up property poor-districts through a program nicknamed "Robin Hood." The district can apply to use some of that funding to pay for any facilities damage their insurance or the federal government does not cover. Harvey-affected property-wealthy districts are calculated to owe $947 million in these payments to the state in the next two years — which could be diverted to facilities damage, leaving the state with much less money, Morath said. Public school districts pay to maintain facilities through bonds repaid by local taxes. With a reduction in tax collections, they could struggle to make those bond payments, forcing them to raise tax rates, Morath said. Superintendents listed costs legislators said they had not thought about: increased insurance premiums, consultants and assistants to help with federal paperwork, additional busing for now-homeless displaced students, and additional towers to boost wireless and phone signals. An existing shortage of bus drivers was made more acute due to the storm, administrators said. "We are short on drivers. We are short on buses. We're trying to get them there," said Ingleside ISD Superintendent Troy Mircovich. Port Aransas ISD Superintendent Sharon McKinney said her small coastal district has a handful of administrators, not enough to manage the enormous volume of work it takes to work with insurance, transfer school records for students who left and coordinate with the federal government. "We need some boots-on-the-ground-type people to stand alongside us and work with us," she said. Earlier this week, the state announced a tri-agency mental health task force to coordinate local mental health counseling for students and staff. So far, the task force does not have a sense of how much funding it will provide to districts for counseling, or how much they need. McKinney said Port Aransas ISD needs state funding for many more social workers and counselors to help most of their students and staff, adding, "We need financial support as soon as possible."